Preliminary test results at Zwartkops last week, saw the Alfa recording its fastest time since its debut last year. 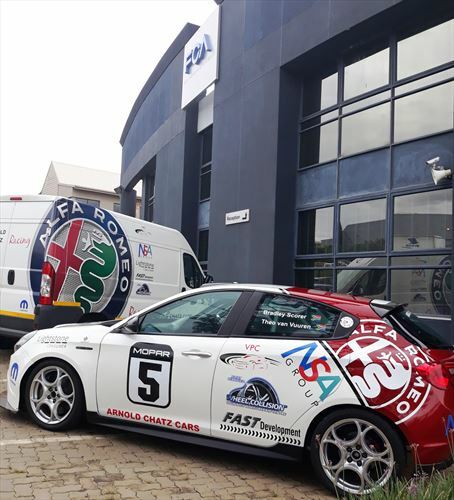 Fiat Chrysler Automobiles South Africa, importer of Alfa Romeo, Fiat, Fiat Professional, Abarth and Jeep vehicles locally will campaign an Alfa Romeo Giulietta in the 2018 Mopar South African Endurance Series which kicks off with the Mopar Phakisa 6-hour on Saturday 24th February at Phakisa. 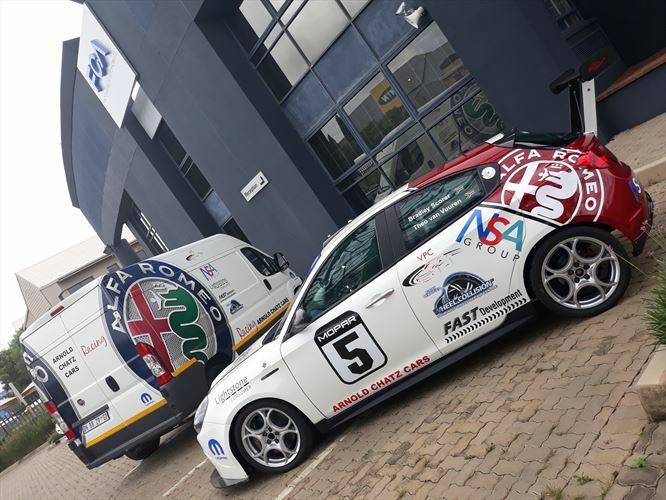 Finishing fourth overall in last year’s championship race in the Arnold Chatz Cars Racing Alfa Romeo Giulietta, Theo van Vuuren – Head of Aftersales at FCA and Bradley Scorer – Dealer Principal at Arnold Chatz Cars – will be looking to go four better. Van Vuuren and Scorer started the Alfa race team in 2015 with an Alfa Romeo GT. This will be their fourth year racing and only their second year in the Alfa Romeo Giulietta. Both have previously competed in National and International series with Endurance and production cars. 2018 also sees the return of Alfa Romeo to Formula 1 after an absence of 30 years. It also marks the return of the “Quadrifoglio”, the legendary badge that has appeared on Alfa Romeo’s top performance cars since 1923, to the circuits. Today, the legendary symbol returns to show the world the continuing strength and success of the Alfa Romeo philosophy, a constant search for excellence applied to racing, then transferred in its entirety to the brand’s production cars. You will also find this symbol on the Alfa Romeo Giulietta which, in support of the debut of the Alfa Romeo Sauber F1 teams new challenger the C37, will be sporting the F1 colours for this season. Endurance racing has internationally become the trend of racing. It appeals to all ages, brands and car-enthusiasts. Building a car to last 5 laps at maximum speed is one aspect. It is quite another to build a fast car that can endure up to 24 hours of racing and with multiple drivers. 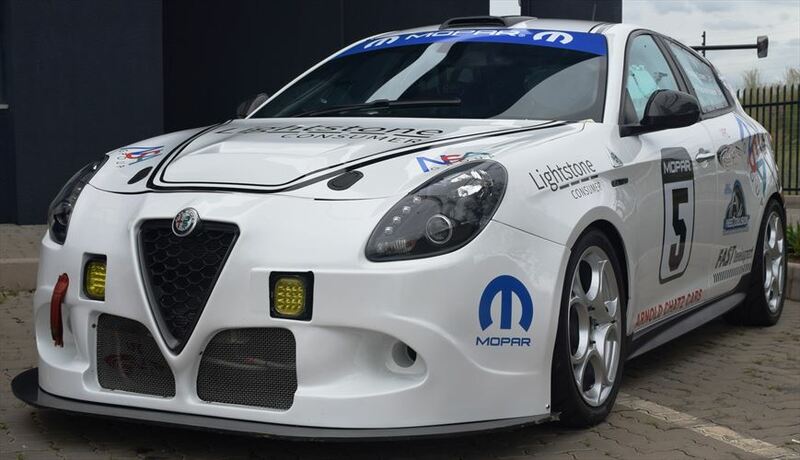 Alfa Romeo and Mopar have teamed up with the local SA endurance series not only to grow Endurance racing in South Africa but also to demonstrate the reliability and performance of our products in extreme conditions. Alfa Romeo fans will once again have the opportunity to support an automaker that is determined to begin writing an exciting new chapter in its unique, legendary sporting history. Follow the Mopar Phakisa 6-hour for live feeds and updates throughout the afternoon on www.facebook.com/SAEnduranceSeries.